Congratulations! 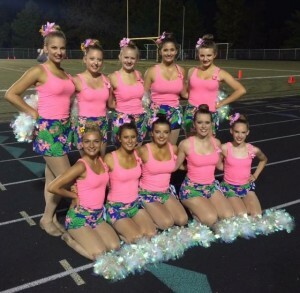 More information will be coming regarding parent meetings, fittings, and summer calendars! 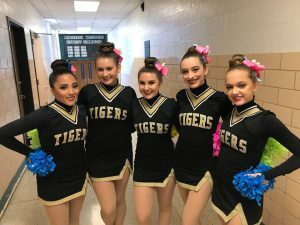 Look out 2019-20, the Golden Girls are here! 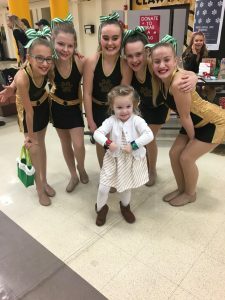 This past Saturday (12/1/18), the Golden Girls attended the Yvonne Cole Lindbergh Dance Team Invitational. 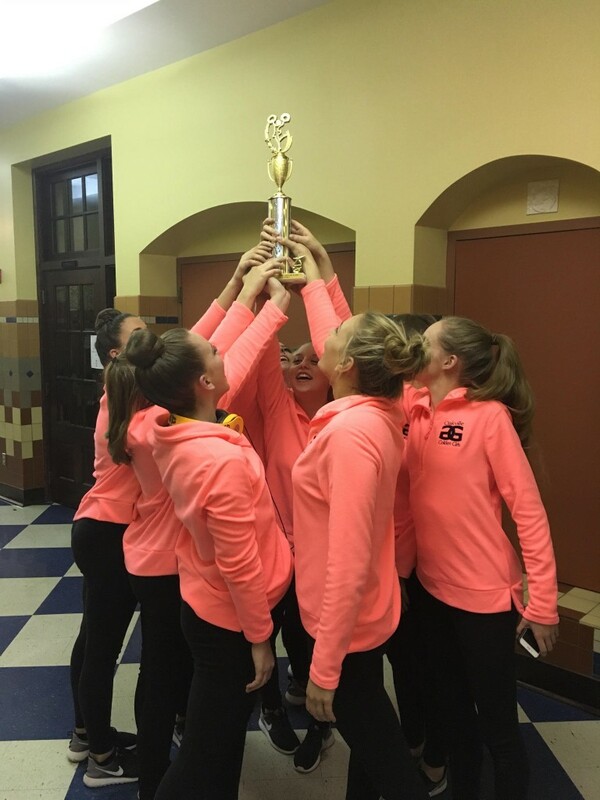 Congratulations to ALL levels of the Golden Girls – the competition is in full swing! 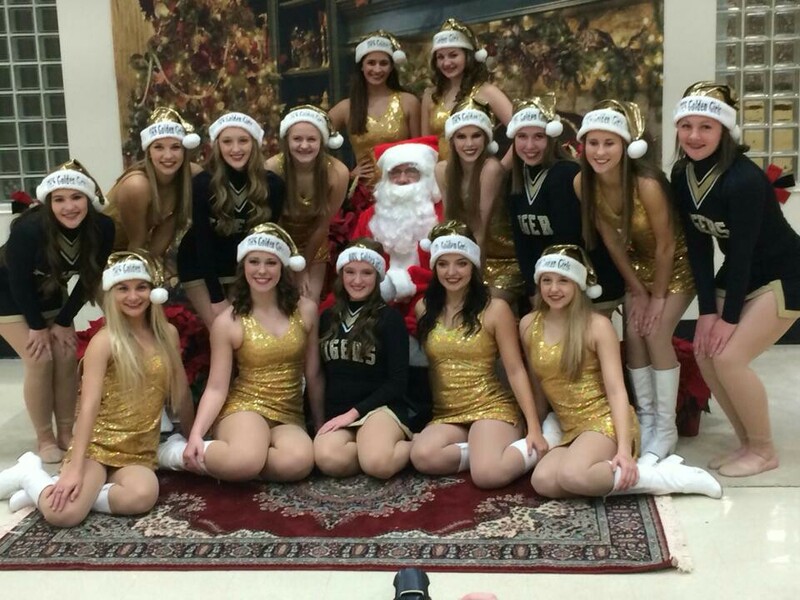 Thank you to everyone who came out to support the 2018-19 Oakville Golden Girls at their 5th annual Breakfast with Santa. 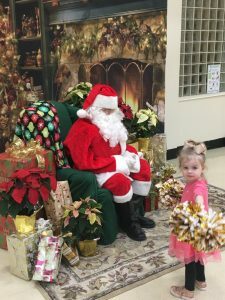 Santa loved getting to see each and every child! 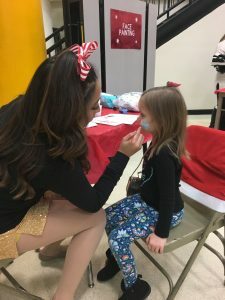 It was such a fun day with face painting, crafts, games, pancakes, and dancing. We’d love to see you next Thanksgiving Holiday weekend! 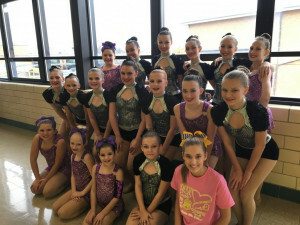 We truly appreciate the parent and community support of this event, which is one of the Golden Girls largest fundraisers for their trip to Nationals. 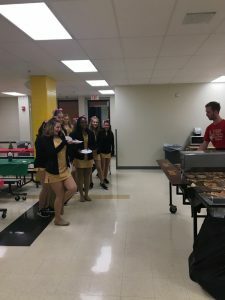 All of the teams volunteer to help run a station and perform! 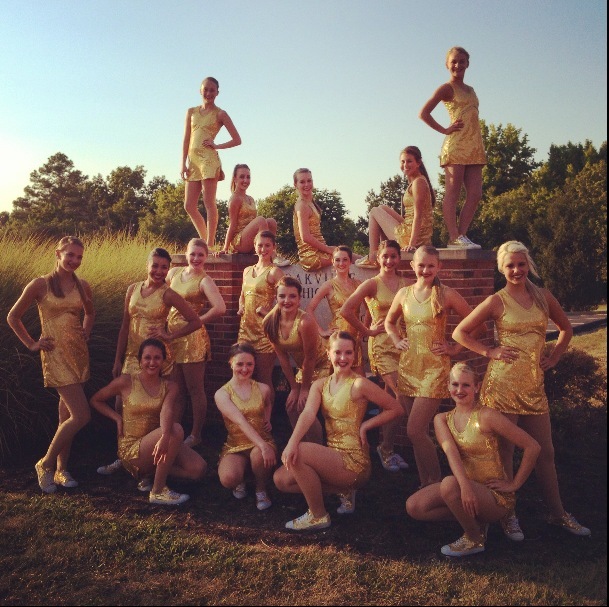 The Golden Girls represented Oakville wonderfully yesterday at The Lee’s Summit North Dance Invitational. 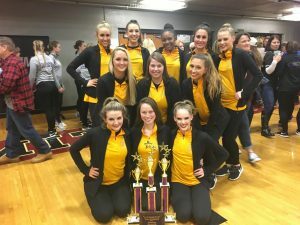 Varsity took 1st place in mix, 2nd in lyrical, 3rd in Pom, and was awarded the showmanship award for their Pom routine as well. JV took 2nd in mix and 2nd in Pom. 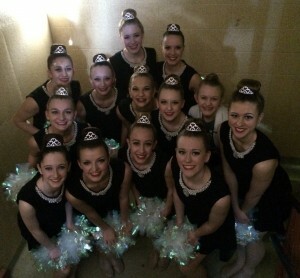 Thank you to everyone at Lee’s Summit and the judges for such a great experience! It truly was a wonderful day filled with outstanding dancing! What a wonderful weekend at the Yvonne Cole, Lindbergh, Dance Team Invitational. 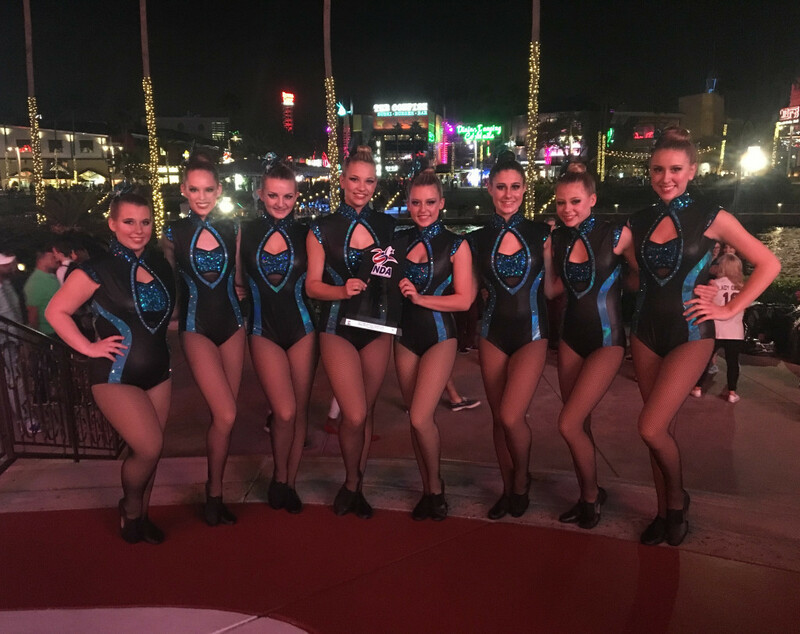 Varsity Golden Girls received the honor of being given the award for most memorable routine of the day out of all of the Varsity routines. 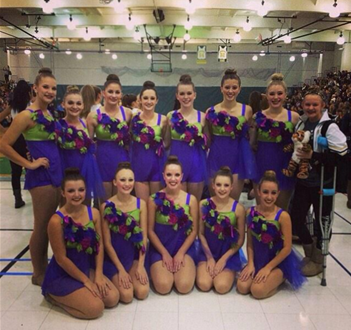 Thank you to the judges and everyone at the Invitational for such a memorable weekend! The Golden Girls continue to grow in talent and the size of their squad. We hope to continue this growth with more dancers every year! 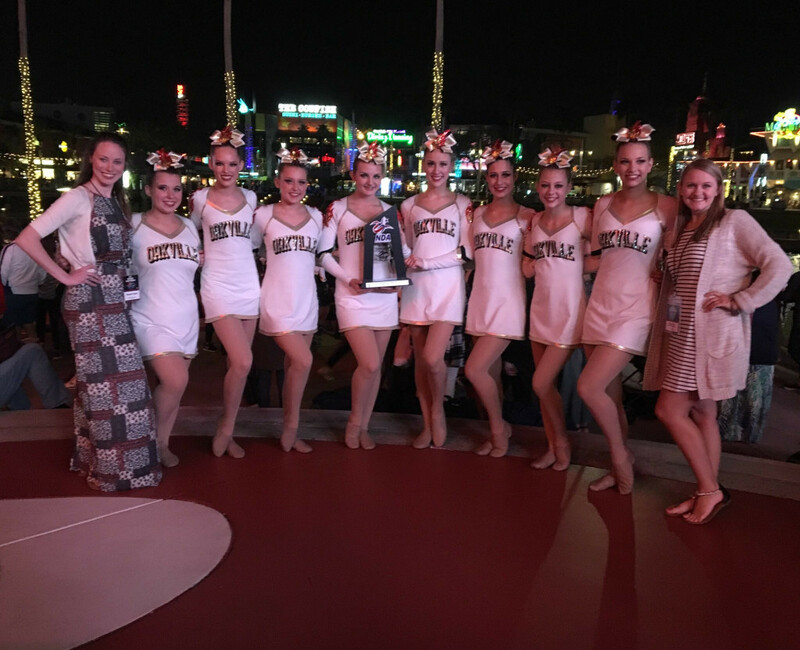 The Varsity Golden Girls represented Oakville High School with style and grace at the 2017 NDA Nationals in Orlando, FL. 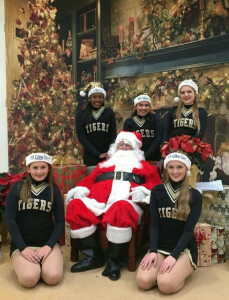 last weekend! 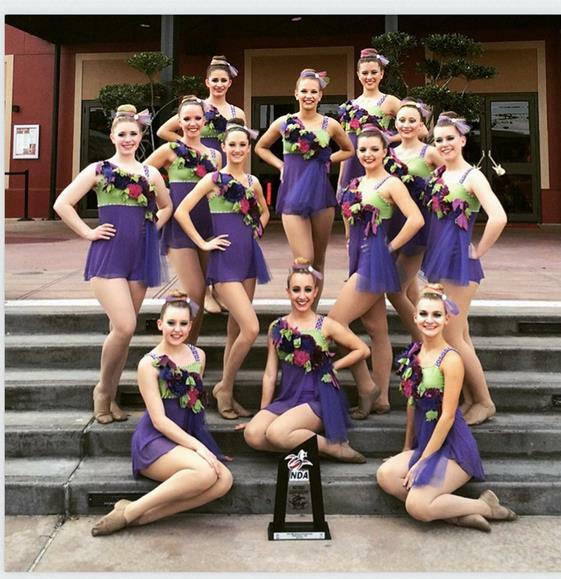 For their 4th trip to this prestigious competition, the Golden Girls brought home two national titles. They ranked fourth in the nation with their mix routine and ninth in the nation with their pom routine. 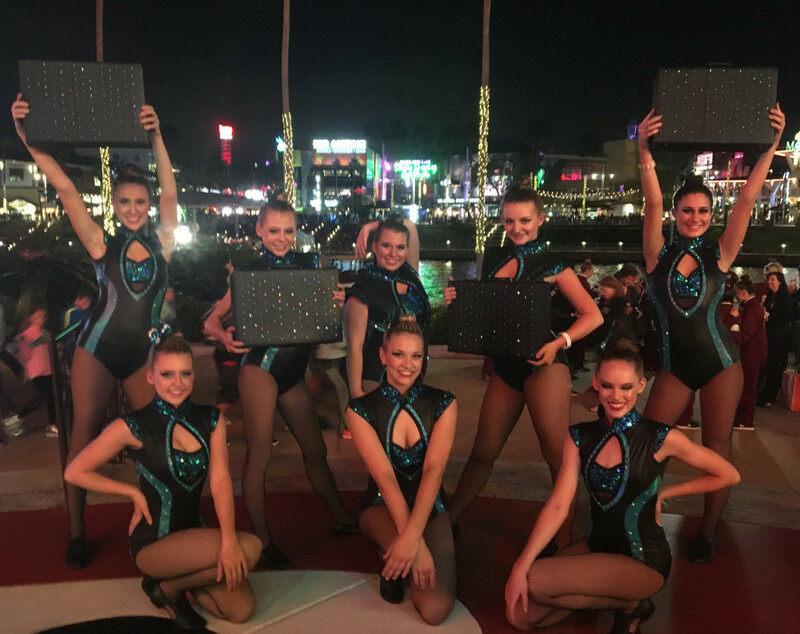 Each dancer gave their all and left everything on the floor. 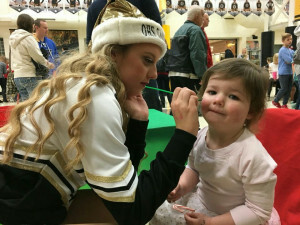 Oakville High School and the Mehlville School District couldn’t be prouder. 4th Place Team with Trophy! Congratulations to the Oakville Varsity Golden Girls! They had an outstanding day at the Missouri State Dance Team Competition this past Saturday, February 25 at the St. Charles Family Arena. 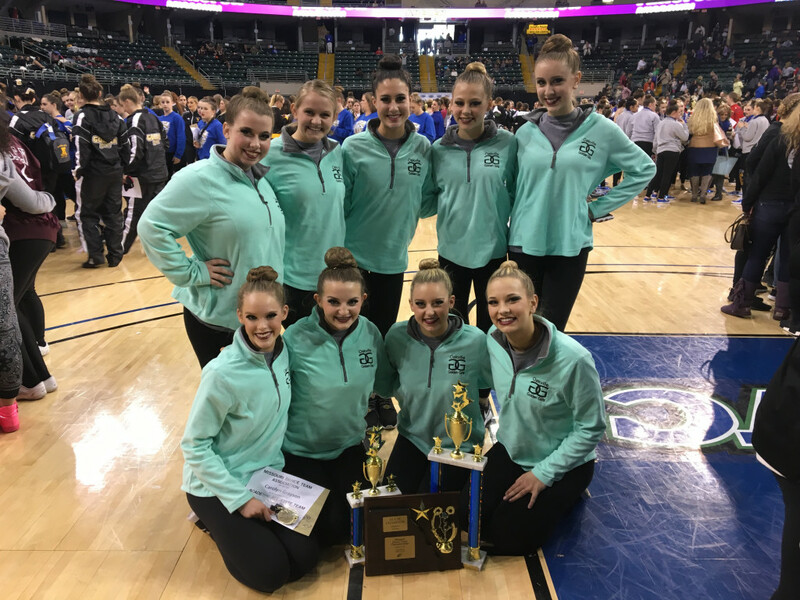 The team placed first in jazz, fourth in Pom, and came in third place overall for the all State Championship for Division 5 – this is a great achievement for large schools! 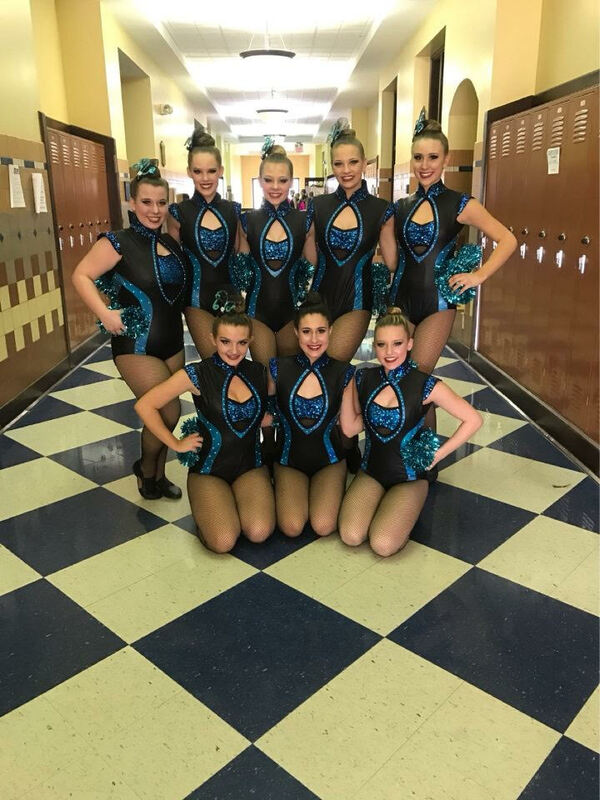 We will continue to follow their progress as they head to Orlando, FL next weekend for the NDA High School Dance Team Nationals. 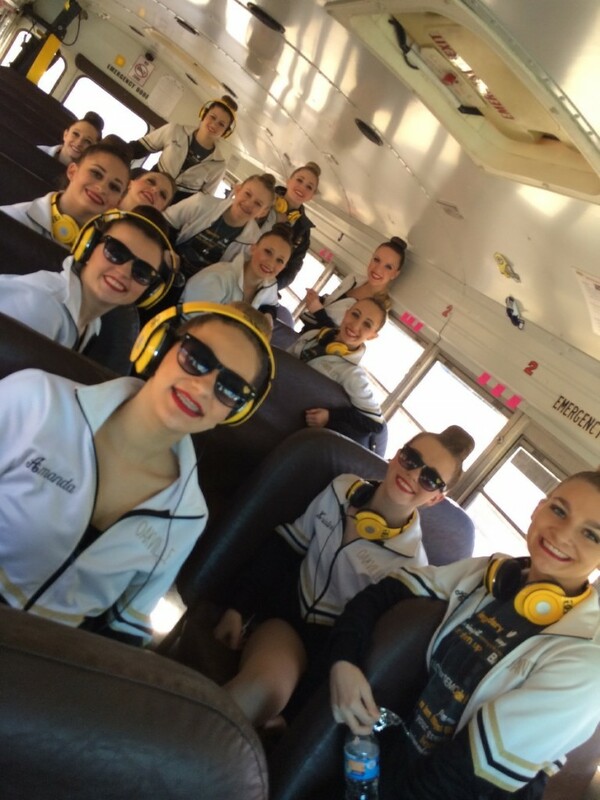 Good Luck GG’s! 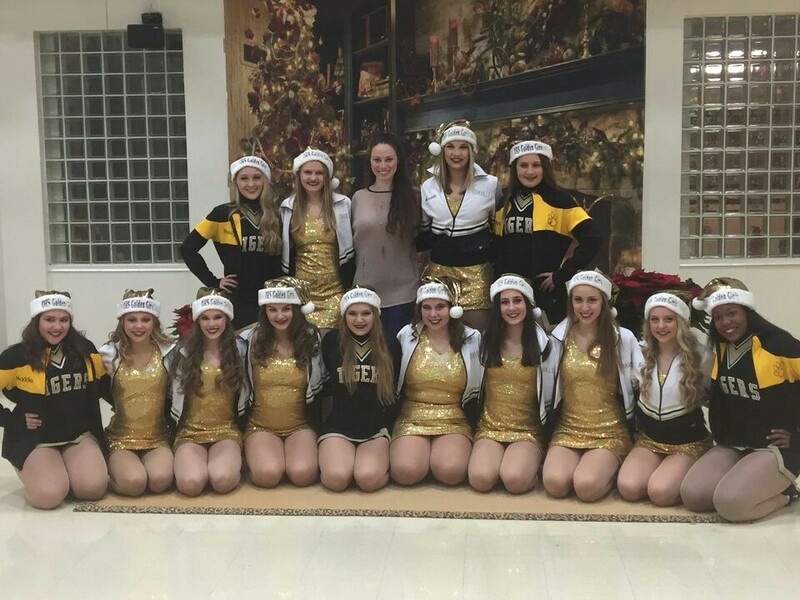 Thank you to everyone who came to support the Golden Girls at their Nationals Send Off event this past Sunday night! 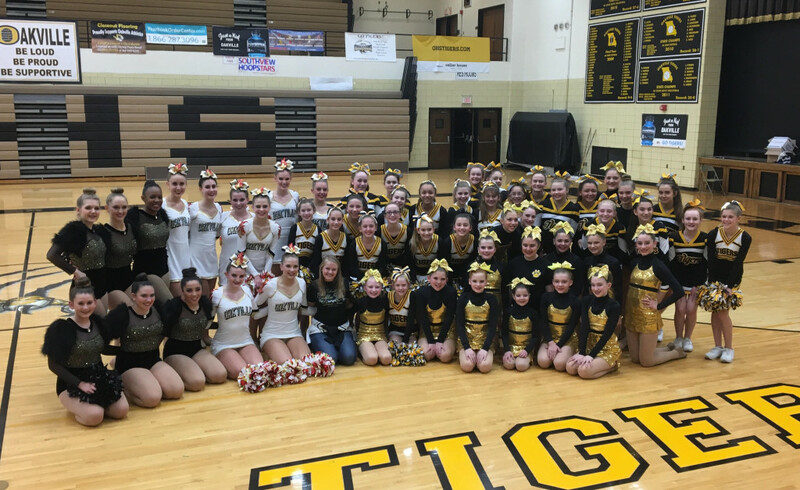 It was a wonderful evening with performances by the Varsity Golden Girls, JV Golden Girls, Junior GG’s, 6th grade Junior Tiger Cheerleaders, and 7th grade Junior Tiger Cheerleaders. 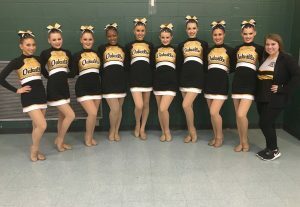 We wish Varsity the best of luck as the compete at State this weekend and as they travel to NDA Nationals in Orlando, Florida the first weekend in March. 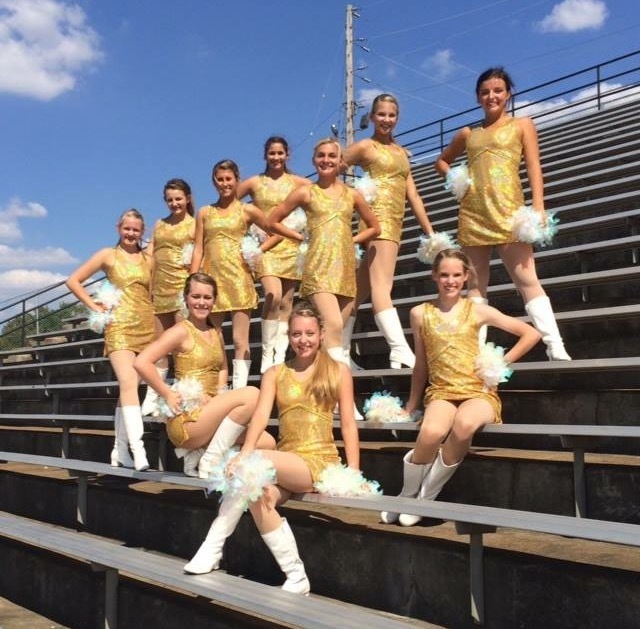 Congratulations to the JV Golden Girls on a fantastic weekend at the at the Sugar Bear Invitational. They placed 1st in Mix, 2nd in Pom, and 3rd in Jazz! 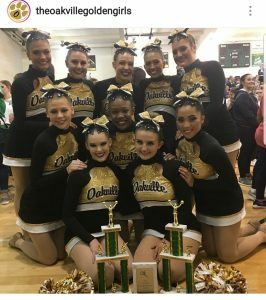 Congratulation to The Oakville Golden Girls on a fabulous weekend at the St. Charles Classic on Saturday, January 28, 2017. 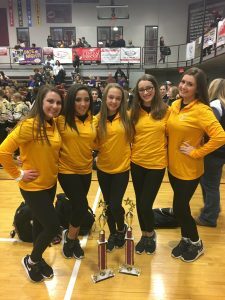 The GG’s performed with strength and grace through each of their demanding routines ~ and were rewarded for their hard work and effort! 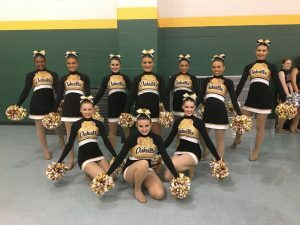 The Varsity Golden Girls placed in the top three with their jazz and pom routines and placed fourth with their mix routine. 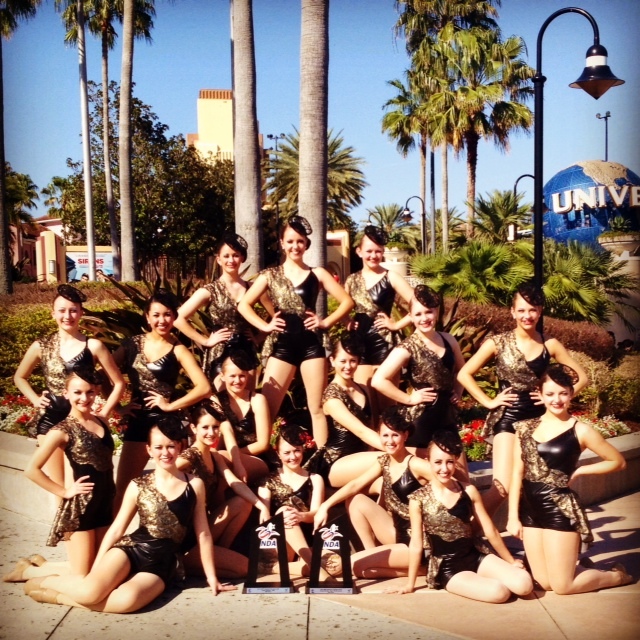 The Junior Varsity Golden Girls placed second in jazz and fifth in pom. 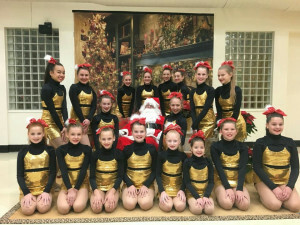 The Junior GG’s performed as two different groups. 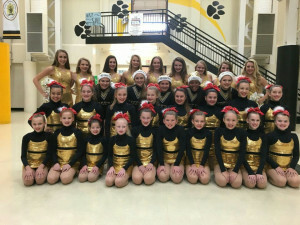 The Gold team placed fourth and the Black team placed second in the middle school dance category. We will continue to track the Golden Girls progress. Watch for camp information coming soon! 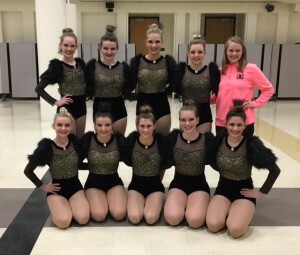 Varsity is schedule to attend the State Competition at the end of February at the St. Charles Arena and Junior Varsity is attending the Sugar Bear Invitational in mid February. 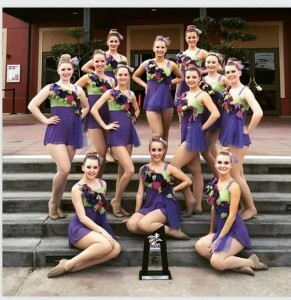 Then it’s off to Nationals in Orlando, Florida to give it everything they’ve got! 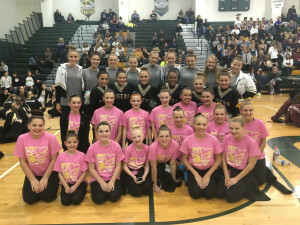 Junior GG’s performed beautifully and the Black team placed first in Middle School Dance. 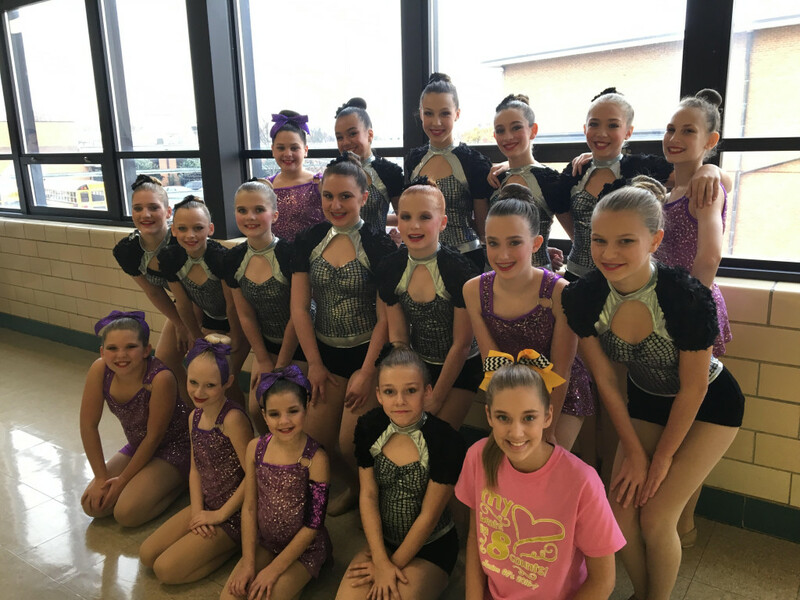 We are looking forward to seeing the next dances and how these teams do in their next competition at St. Charles in late January! 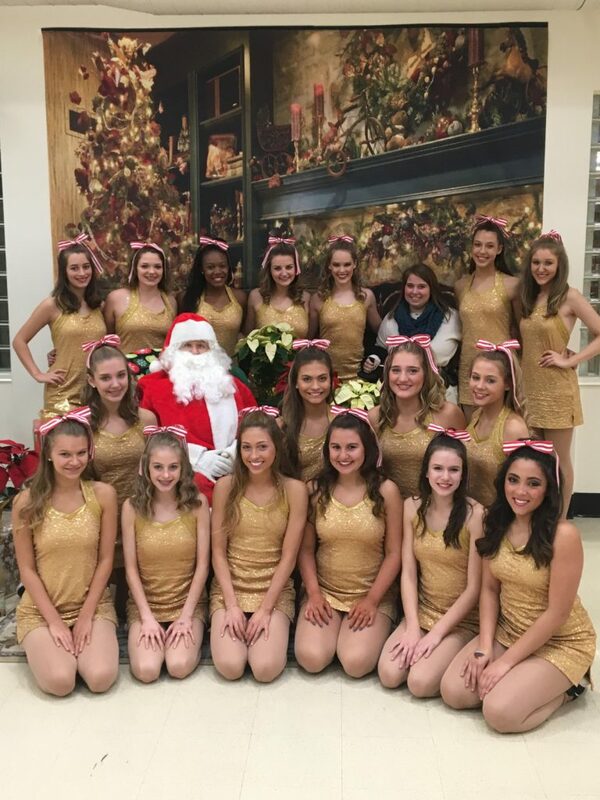 Again the Oakville Golden Girls hosted their widely supported and waited for fundraiser over Thanksgiving break – Breakfast with Santa! In its 3rd year, the breakfast once again had record attendance with over 250 tickets sold. This is one of the GG’s fundraisers for attending Nationals in March. 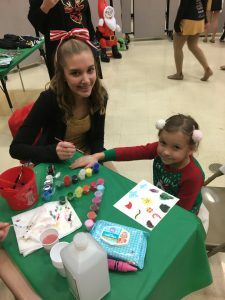 If you haven’t attended, mark your calendars for next year’s event [November 25th]. Breakfast is served by local favorite, Chris’ Cakes. 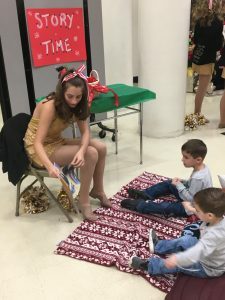 While you wait for a free snapshot with Santa, children can play games, make Reindeer Food, and watch all levels of the Golden Girls perform through out the morning! 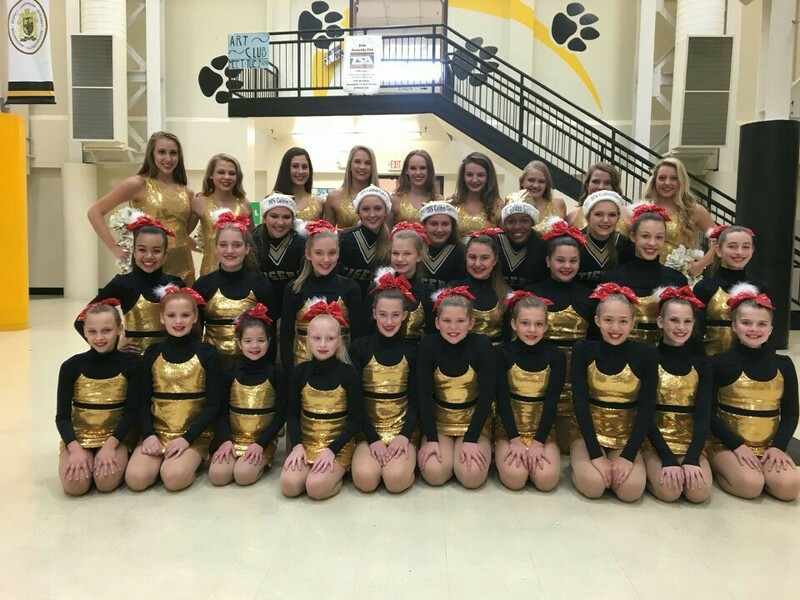 The Oakville Golden Girls will be holding a middle school program for the 2016-2017 season. Please check back in late July for more information! Please share. 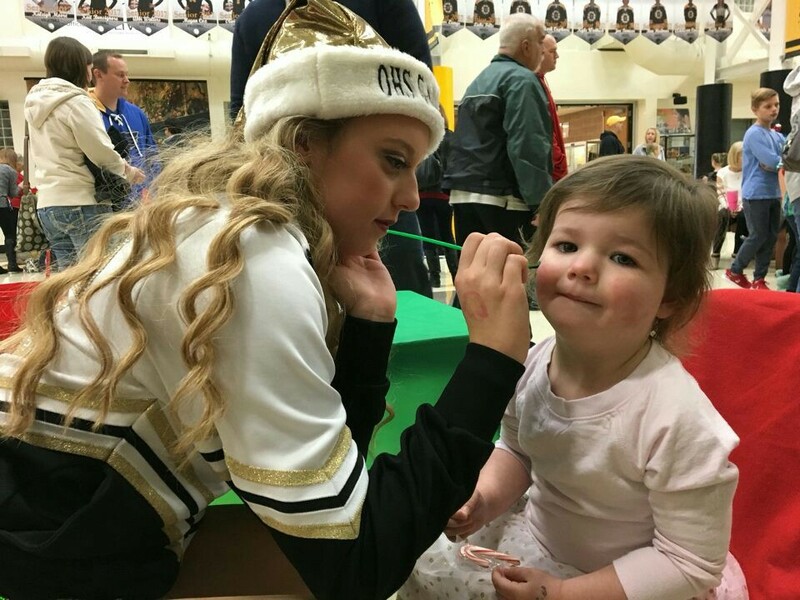 Oakville High School is excited to announce the new Golden Girls coach – Kayla Hall! 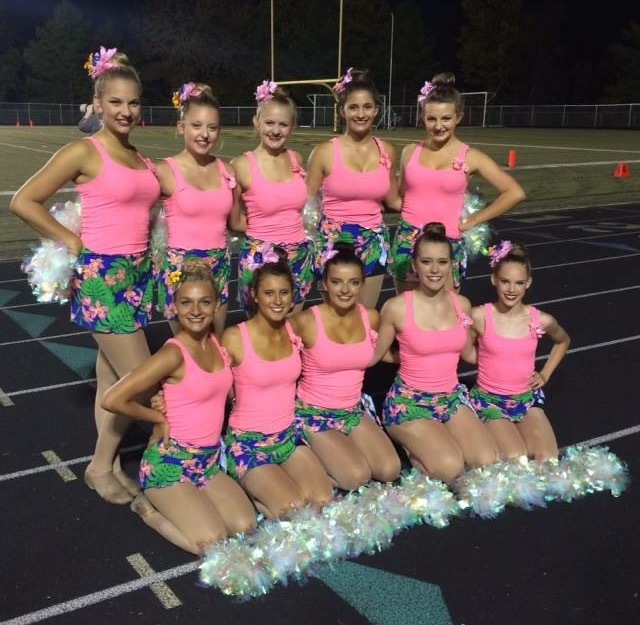 Calling South County [Lindbergh area] her hometown, Hall is an alumni of Cor Jesu Academy and brings a strong and varied dance background to the Tiger’s dance squad. 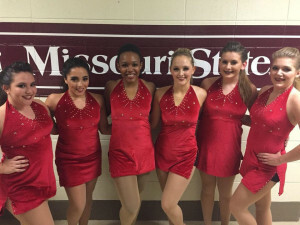 In college, Hall perused a degree in accounting with a minor in dance while performing for the Rebelette’s at the University of Mississippi. 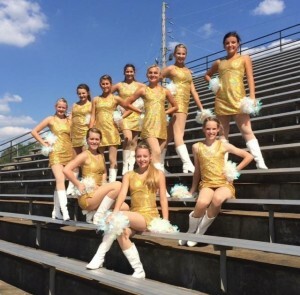 Her path changed and Hall had the opportunity to move to New York where she was a Radio City Rockette for 3 years. Shifting again, Hall moved to Florida to dance for the Orlando Magic in the NBA for 3 more years. 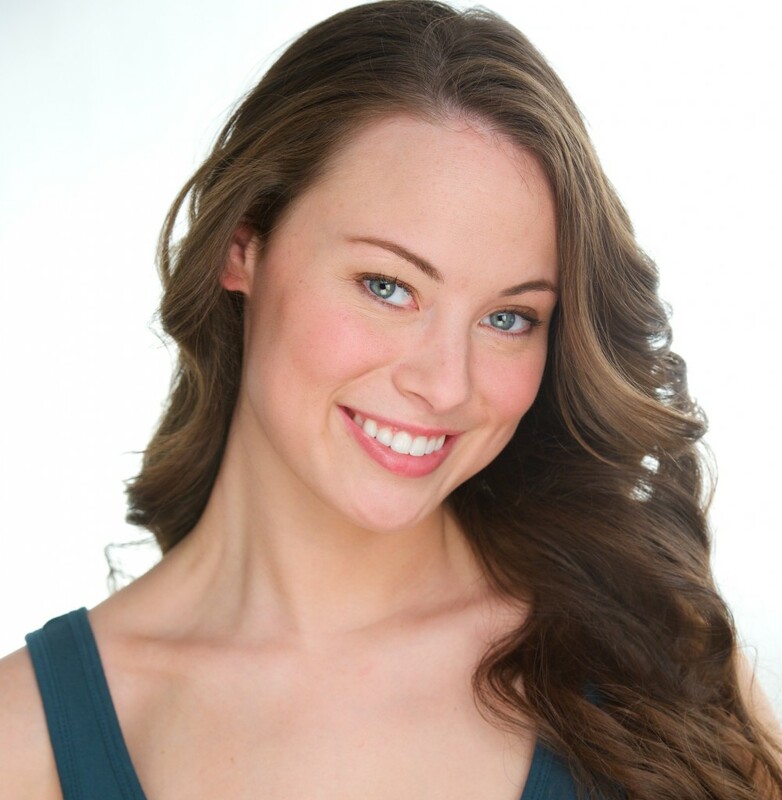 In addition, her experience at the Muny and Ballet Companies have helped to provide her with a multitude of dance and choreography background. 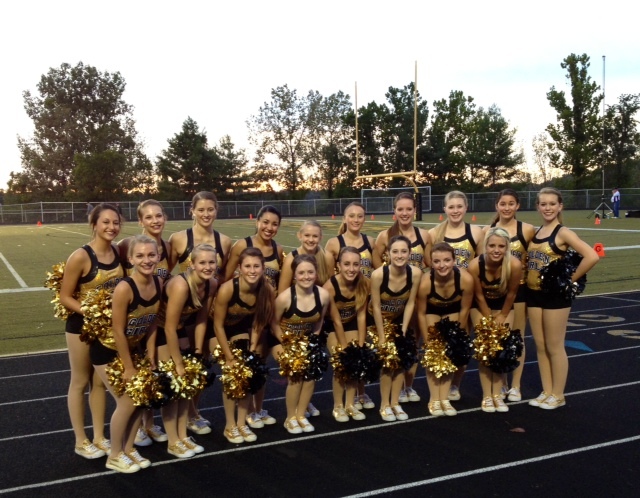 Oakville is excited for the new opportunities and the upcoming season! 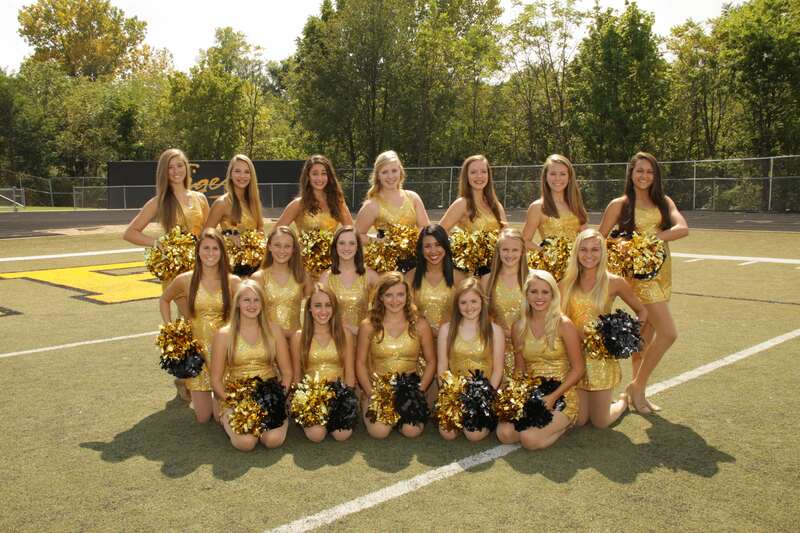 Good luck to the Oakville Golden Girls as they continue their journey to a State and National title. 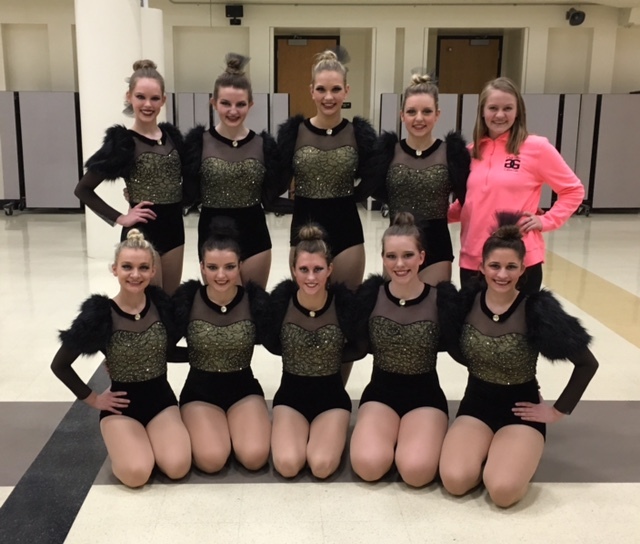 This weekend the GG’s travel to Kansas City for the Missouri Dance Team Association state competition at Kemper Arena, Saturday, February 20, 2016! 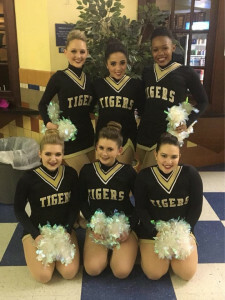 After winning 1st place early this season at the Yvonne Cole Lindbergh Invitational and the St. Charles Classic the Tigers have their eye on a State Championship! 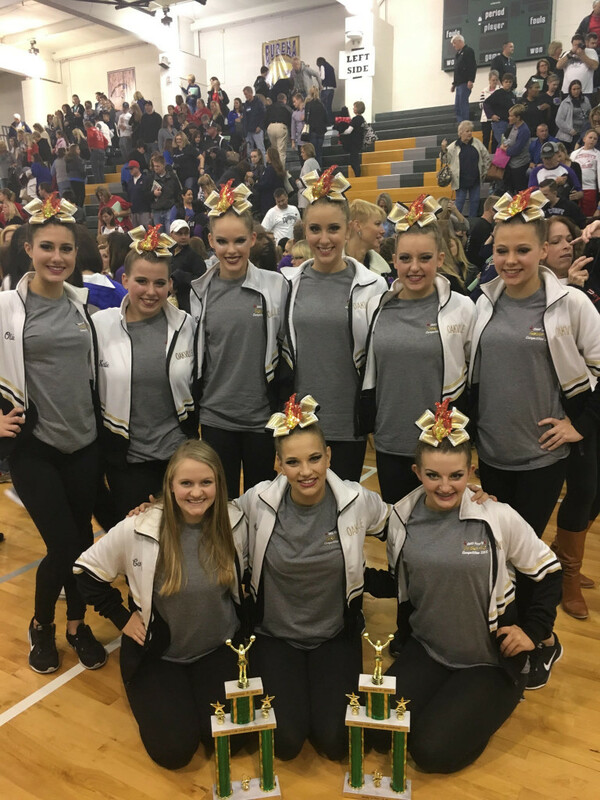 Congratulations to the 2016 Oakville Golden Girls! 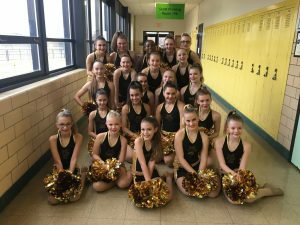 This past Saturday, the Varsity & JV Golden Girls and their first ever Jr. Golden (middle school team) performed at the St. Charles Classes, hosted by St. Charles High School. 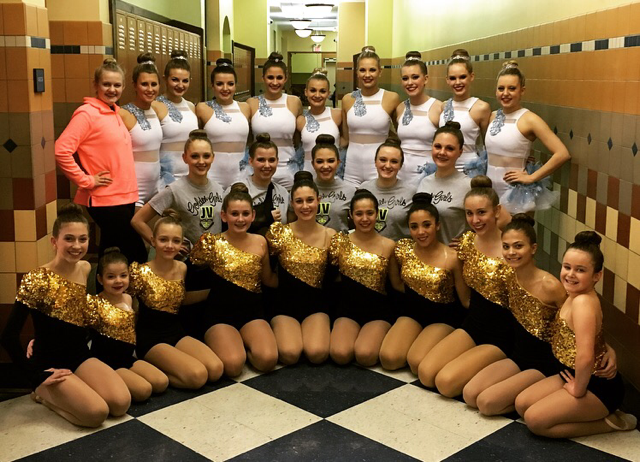 GG’s had an outstanding day of performances! 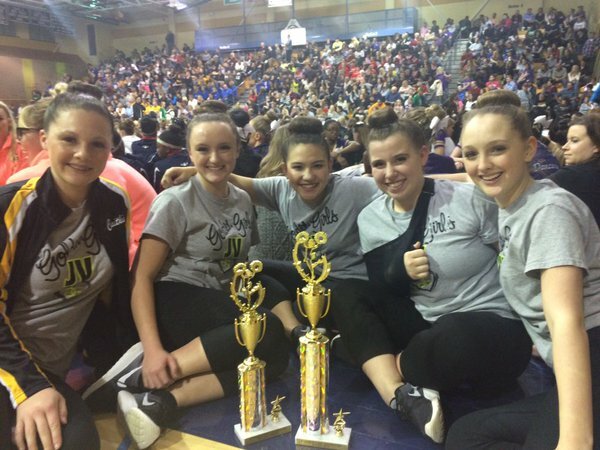 Reaping the benefits of hard work and devotion, the Golden Girl teams came home with multiple trophies and awards! This is our last regional competition before the state competition in Kansas City at Kemper Arena on February 20, 2016. Breakfast with Santa 2016 – Huge success this year with a record number of attendees! 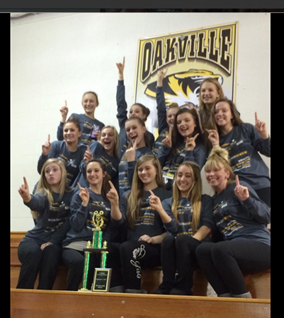 For the 2nd year in a row, Coach Aboussie has led the charge to take the Oakville Golden Girls to Nationals in Florida. Representing their school well, the GG’s earned the following honors ~ Oakville couldn’t be more proud! 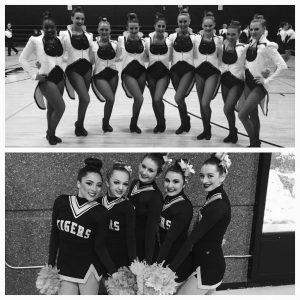 The Tigers were as good as advertised ~ NDA recognized our Golden Girls as one of the top teams to watch! 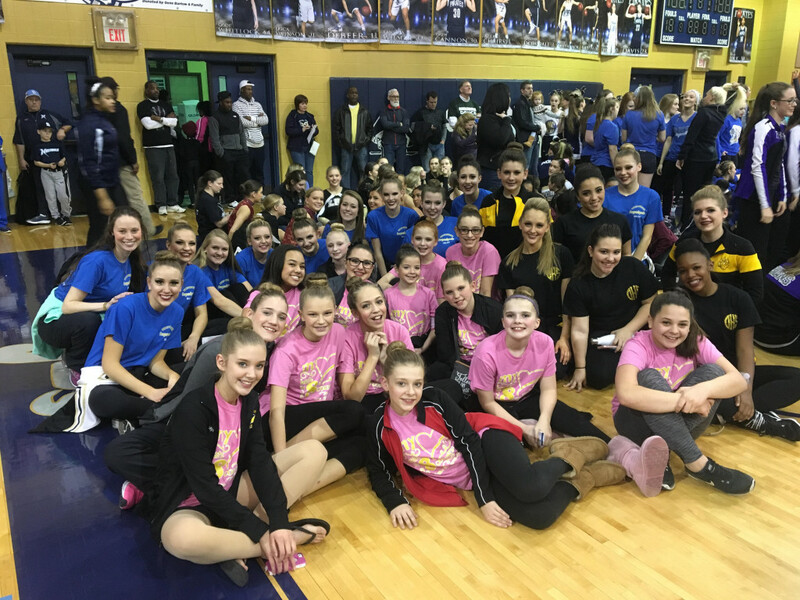 It is with pride we congratulate the 2014-15 team on their accomplishments and finishes – not only are they amazing to watch at Oakville, but they bring the house down in competition as well! 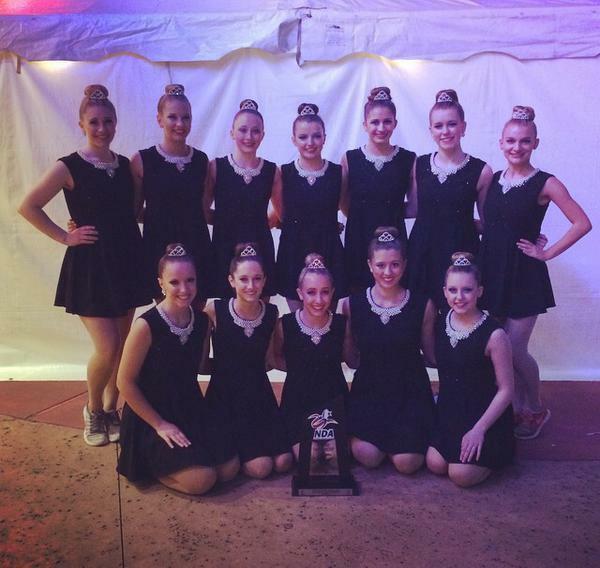 UDA All Americans: Olivia, Nicole, Abby, Sabrina, Sara, Catherine! 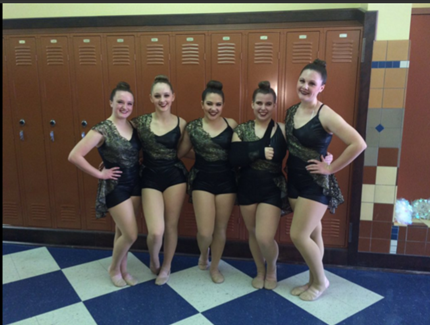 Superior Trophy for having the highest percentage of blue ribbons for A, B, and C routine evaluations. 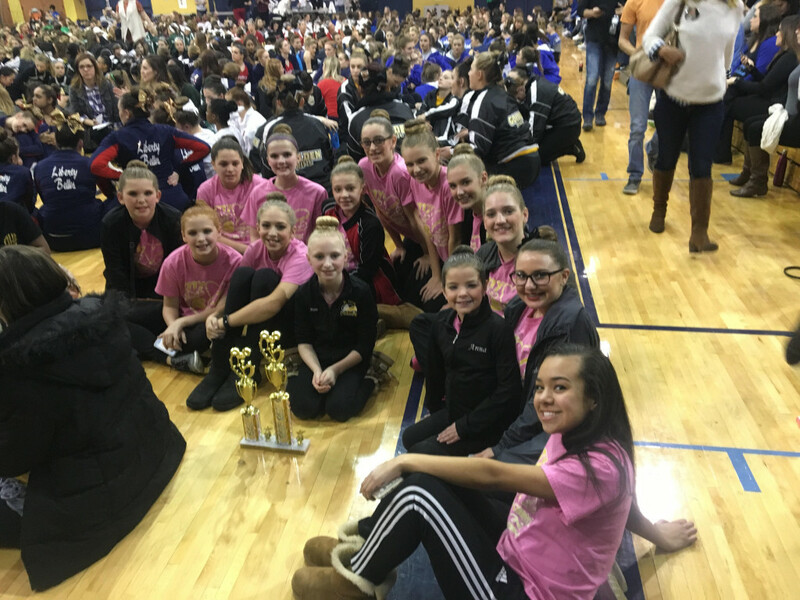 Team Drill Down Award for having the highest percentage of yellow ribbons. Golden Girls were always standing at the end. 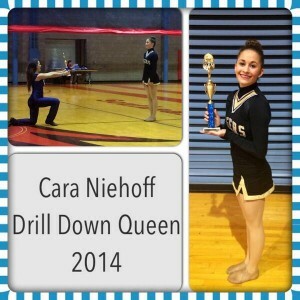 In addition, Cara won Drill Down Queen!! 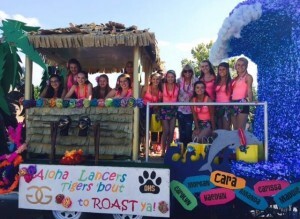 Cara was the “last woman standing” at the very end. 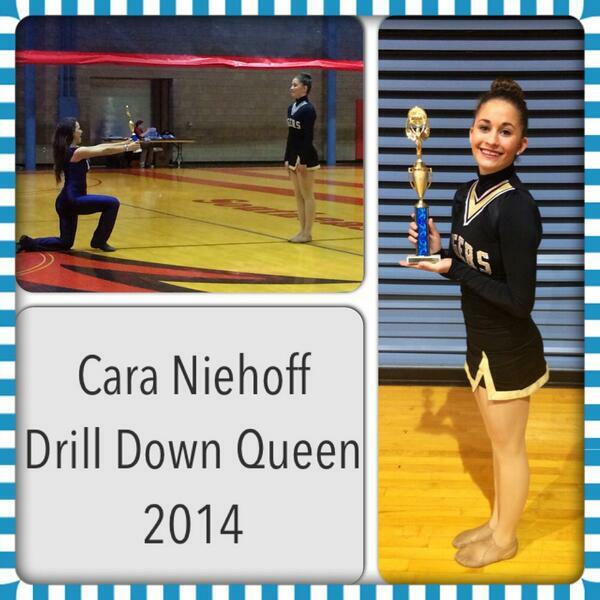 We all wanted this so much for Cara, as she was the shining star of drill downs throughout the entire camp. Drill downs are pressure-packed, so winning this award is an outstanding achievement. We earned a spirit stick every night at camp and one on the last day to take back to Oakville. Finally, we won the UDA Leadership Award. Each team was asked, “If you could be on any other team besides your own, what team would you want to be on?” This team was to show leadership skills throughout the week, endorsing positive character and work ethic. = Oakville was Legendary! 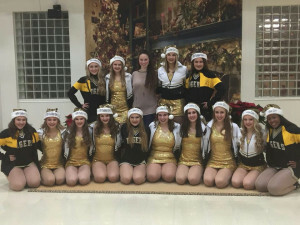 For the first time since its inception in 1974, Oakville High School’s Golden Girls can add nationally ranked to its title. The sixteen-member team recently traveled to Orlando, Florida to compete in the National Dance Alliance national competition. 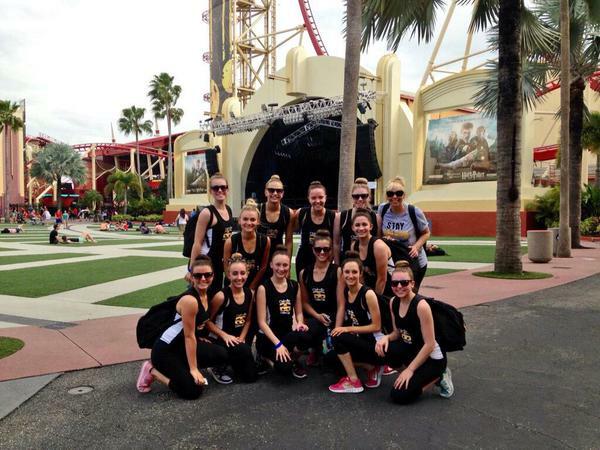 Competing in the large varsity division, the girls advanced to finals in both routines they had prepared. 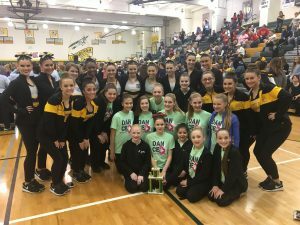 Oakville took fifth in large varsity mix and eighth in large varsity jazz, deemed the most highly contested by the NDA organization. 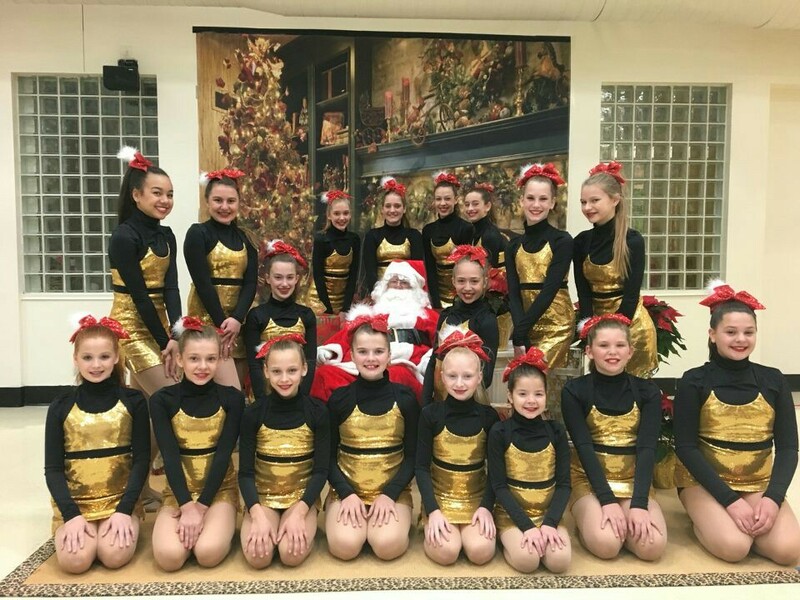 This is the first time the OHS Golden Girls have competed at the national level, qualifying for this prestigious competition at summer camp last June. The girls put forth tremendous effort all season long in order to achieve the accomplishment of ranking top five in the nation amongst large varsity teams.